The Aquarius man is the most unconventional of all the zodiac signs, for he truly walks his own path. So what is it like to date an Aquarius man? Is it easy or tough? Find out in this article. Improve your love compatibility by getting free dating tips and advice. Intelligent, creative and unique, the Aquarius male is a dynamic character who enjoys life and all its challenges. He’s out to conquer the world with his original theories, and is seen as an innovator. Because the Aquarius man is not your average guy, normal flirting tactics probably won’t work on him. You need to stand out from the crowd as he does, so find a cause to join or fight for an injustice. Having strong opinions will catch his attention, so chat him up about social or world issues. Once you’ve piqued his interest you can broaden the conversation to other topics, but never shift into idle chatter. His mind is always going a mile a minute, and it takes a quick wit to keep up with him. If you can match his fast-paced exchange of ideas he’ll ask you out, and it will be an unexpected kind of date. Don’t be surprised if it involves his friends or family, for he is a social creature as well. He needs to be surrounded by many different people to keep his intellect sharp, so don’t expect a lot of alone time with your Aquarius guy. To stay in his favor make sure to get in good with his closest companions. In fact, you may be sharing your new guy with a lot of different people, for he likes to find others looking to change the world for the better. Everything is an intellectual pursuit for him; emotions rarely come into play with anything in his life. 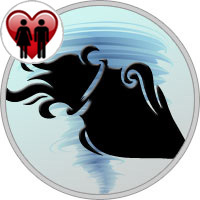 If you’re looking for someone who can express his feelings the Aquarius man is not the one for you. He is fairly calm and detached and he’s looking for someone with a similar temperament. To him, being in a relationship is mostly about friendship and a mental connection with someone. It’s rare to find anyone who “gets” him, but if you’re the one he’ll take things to the next level. Else be ready to breakup! This is true in every other part of your relationship with the Aquarius man as well, for he doesn’t do anything ordinary. While this will keep you on your toes, it will also keep your partnership fresh and exciting. The world he lives in is an optimistic one, and every day in it will be productive and fulfilling. This may not help with the everyday responsibilities, for he doesn’t care about routines. You will have to be the adult in this area, since paying the bills falls under the “ritual” category. And don’t expect him to commit to such tradition as marriage and a family in a friendly neighborhood. But if you take care of the little details in your relationship, he will paint you a bigger picture that is grand and beautiful.